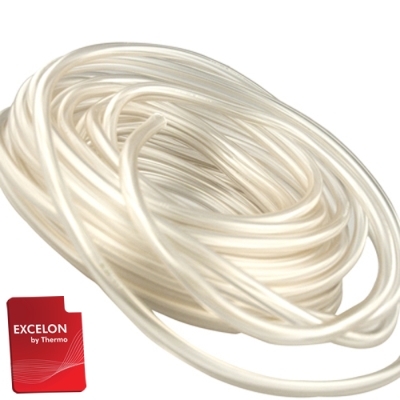 3/8" ID x 7/8" OD x 1/4" Wall Excelon Laboratory Vacuum Tubing | U.S. Plastic Corp.
3/8" ID x 7/8" OD x 1/4" Wall Vacuum Tubing has a working pressure of 49 PSI @ 73°F. It has a minimum bend radius of 5/8". It has a durometer of 55 A, a specific gravity of 1.18, a tensile strength 1650 PSI and an elongation at break of 450%.